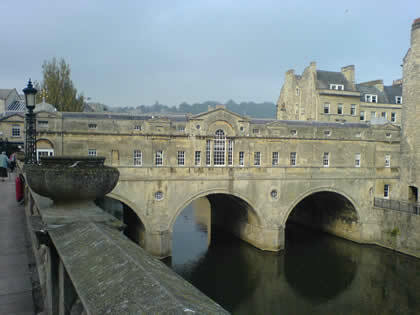 Pulteney Bridge: Roman Baths, established nearly 2000 years ago, were rediscovered in the 18th century and are one of the city’s most visited attractions. 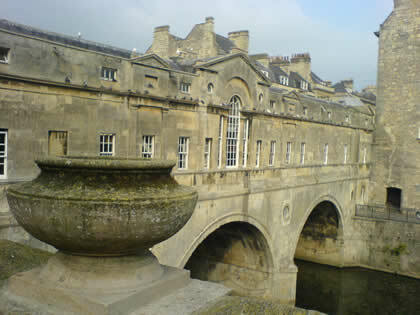 The waters are now considered unsafe to bath owning to its passing through the lead-pipe built by the Romans and still functioning nowadays. 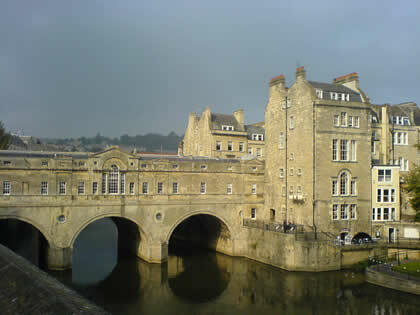 The Roman Baths Museum include the Great Bath, the 12th century King’s Bath, as well as the ruins of the Temple of Sulis and the 4th century East Baths. England UK Train Travel – Information on getting a train ticket, the train system England UK Bus Travel – Information on getting a train ticket, the train system.